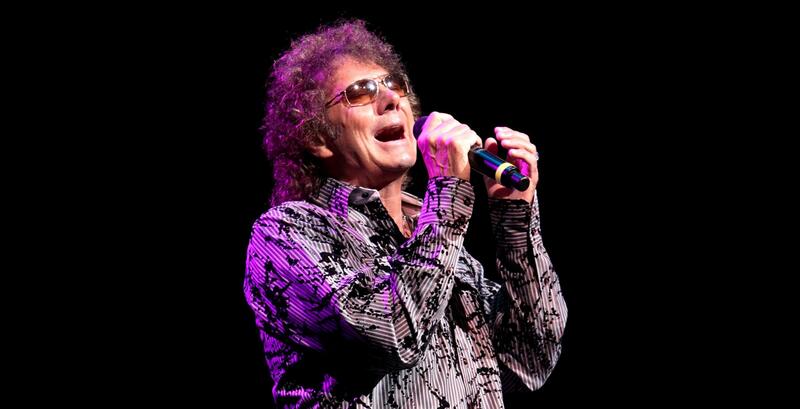 Mickey Thomas, has been the lead singer of Jefferson Starship and Starship since 1979, and his voice appears on 12 Top Forty hits, 3 memorable Number Ones from the 80’s, and one of classic rock’s most popular ballads. Now Thomas is accepting a brand new challenge by taking a star turn as Dennis Dupree in a stage production of Rock of Ages, playing this month at the 5th Avenue Theatre in Seattle. In this conversation Mickey discusses the musical, his relationship with Grace Slick, how he found himself acting opposite Rebecca DeMornay, the hit song you may or may not know he sings on, and whether or not Rock of Ages will let him perform the infamous tune he helped make popular in the first place. Robert Ferraro: Mickey, before we begin I have to take a moment to question your character. Robert: I hear your name come up amongst fans or in industry circles and nearly everyone agrees that Mickey Thomas is a great guy. In the late 80’s you were very seriously injured by your longtime friend and bandmate in a physical altercation, but even though it caused you to part ways with him, you rarely if ever say anything bad about him. Grace Slick has sued you or the band on numerous occasions, yet you still speak highly of her. To what do you owe your kind disposition? Mickey: Well, when I hear all of that stuff back to me that way, I’m thinking maybe I couldn’t have been that great a guy. [laughs] Honestly, I do think it has a little to do with where I’m from (Georgia), and a lot to do with it just always being my nature. I try to look at the positive side of things and move on and not worry about the negative things that can pull you down, you know? It’s always been my outlook on life. Robert: You’ve been a bandleader for a long time now, in an industry where you need to have sharp elbows. Does your personality ever cause you to struggle with that? Mickey: You know, it does at times. It’s something that doesn’t come to me naturally. I’m a person that hates confrontation, but when you’re in the position of being a leader sometimes some confrontation is unavoidable. It’s been something that’s hard for me to manage over the years. but it must be working out all right because the people in Starship and the people that have been around me have been with me for a very time. We’ve built a family relationship so if there’s a time where you’re not getting along with someone and they’re getting on your nerves, you just work through it. You many be mad at them, but you always love them. Robert: Starship will be a highlight once again on the infamous ’80’s Cruise, which sets sail in March. You were the first headlining band to play a note on the inaugural cruise and people are thrilled that you’ve made your way back. Luckily for you, you have an enthusiastic fan base on land as well. Mickey: [laughs] We had a great time out there the first time around and I’m excited to get back and see everybody. We really enjoy playing live, and that’s a great audience to play for. They appreciate us, and as you said we get a lot of appreciation everywhere we go, and we’re thankful for it. Robert: These crowds are looking to hear Starship songs for sure, but one thing that you surprise some people with is when they discover you are the voice on the Elvin Bishop classic, ‘Fooled Around and Fell in Love’. Do you encounter people in your travels that have no idea that you sang it? Mickey: Absolutely. All the time. I do it in the show every night because I still really enjoy singing it, but also to let some people know who maybe don’t know, that it’s me singing on the track. It’s my job to educate the people, Robert. [laughs] And it doesn’t bug me that some people aren’t aware, because at the time I was just a young member of Elvin’s band and I was lucky to have the chance to sing it at all. It’s been wonderful to me. And what’s cool about it is at that point in time it really became a story as to who whose voice was behind it song. It created a bit of a buzz, which I actually think helped me to some degree. Robert: You and Steve Winwood are similar in that respect. People are often surprised to hear that he’s the voice on ‘I’m A Man’. Mickey: Sure, and ‘Gimme Some Lovin’. Robert: That’s a better example. People always think Spencer Davis is singing. Mickey: Who is another great guy by the way. Robert: You say another great guy, so I’m assuming that Elvin was as well? Mickey: Yes, my experience with Elvin was fantastic. He’s an excellent musician and I learned a lot of very valuable things from him at a young age. Particularly about being on stage because that was a very hard-working band. The stage was our forte and the band that he put together was an amazingly talented group of guys. I had the opportunity to be around some real characters, man. Elvin, Johnny Vernanza, Michael Brooks and Donny Baldwin, who is a very talented drummer and great singer. You know, I got him into Jefferson Starship in the early ’80’s, until we ran into something you mentioned a little while ago. [laughs] But I’m not going to look at my relationship with him that way. I learned about being on the road and how grueling it can be, but we also partied a lot and had great times. It was a wonderful time in my life. Robert: You’ve worked alongside a bunch of heavy hitters in your career. Elvin Bishop is a Rock and Roll Hall of Famer, and then you found yourself in Jefferson Starship and were dealing with a bunch of personalities there, to say the least. Robert: They weren’t always in the band at the same time, but between Paul Kantner and Grace Slick you were working in the middle of a legacy act onstage, and former lovers offstage. Did you tiptoe around a bit before you got settled in with Jefferson Starship? Robert: Lawsuits aside, what was your relationship with Grace like? Mickey: It was great working with Grace. I had a really good relationship with her, both professionally and personally. The reason she left the band in the beginning was to resolve some personal crisis and issues she was experiencing, so by the time she came back to us she had already been there and done that. Believe it or not, she was clean and sober about 99% of the time that I spent with her in the band, so it was smooth sailing. I used to kid with her a little bit because I had heard all these crazy stories about her from the band and I said, “You know, if you ever fall off the wagon, call me up because I want to be the one that parties with you.” [laughs] She never did, which is a good thing. Robert: Before Starship’s commercial popularity ballooned in the mid-80’s, you recorded some rock radio hits, one of which was ‘Find Your Way Back’, and another, ‘Jane’, which is a rock radio classic. Mickey: We still play them, and open the show with ‘Jane’ quite a bit. The big hits from the mid-80’s are awesome, and we’re still living off of those for sure, but the songs that kind of earn me credit with my peers and people like yourself are ‘Jane’, ‘Find Your Way Back’, and ‘Fooled Around and Fell in Love’. Those are the ones I believe really display my voice the best. Although, ‘Sara’ is a good one as well. But I think the earlier ones are the ones that my peers really respect me for, and I enjoy singing them. Robert: Here’s a question I would only ask with the passage of time. On the day that Starship released ‘Knee Deep In The Hoopla’ in 1985, were you already a rich man? Mickey: Not well off for sure, but I was making ends meet and paying the bills and I was enjoying my life. But yeah, that album helped a lot. [both laugh] I’ll tell you…part of the reason was because of the concept Jefferson Starship had going back to Jefferson Airplane which was that we were all a family, so a lot of the money we made went towards sustaining the family year round. We probably had 25 people on the payroll, whether we were working at the time or not. So it was really a kind of socialistic society which was nice, but at the same time a lot of the profits went to keeping the family together. Robert: You made memorable videos for your mid to late 80’s hits (‘We Built This City’, ‘Sara’, ‘Nothing’s Gonna Stop Us Now’) and it seemed that you were always asked to act a little bit in them, even if you were just sort of reacting or hamming it up. Do you feel like you were acting? Mickey: Well, I was trying to. [laughs] I’ve always been interested in it. I acted in high school but then I moved my attention to more serious things once I got to college. But acting was always in the back of my mind and by the time we got to making music videos in the ’80’s I felt like I had a chance to explore that a little bit. Robert: ‘Sara’ went to #1 on the Billboard charts, in part because of the strength of it’s video. It stood out for it’s motion picture type feel, made more so because you were acting opposite Rebecca De Mornay. It wasn’t Shakespeare, but they were still asking you to do quite a bit for a non actor. Robert: She was maybe two years out of Risky Business. Easy choice, right? Mickey: Very easy. She was so good in the video, and we actually went on to become good friends for awhile until our lives and careers got busy and we sort of drifted apart. That video was more of my baby than anything we ever did. I said, “I want the Grapes of Wrath meets Wizard of Oz”, and the director got it and we spent a lot of time and money on it. I love how it came out. Robert: The song has a lush, atmospheric quality to it and it is also very subdued for the time. Instead of a guitar solo, it has a harmonica melody line. Yet, it still went to #1. Mickey: A lot of that is a credit to our producer, Peter Wolf. Peter was right on the cutting edge of all the new sounds and the processes of making music at the time, with the synthesizers and the sequencers and the tones. I remember when ‘Sara’ first came out, a lot of musicians – even studio pros – would call me up and ask, “How did you get that keyboard sound?”, and I would say, “I don’t know man, you’ve got to talk to Peter.” [laughs] But outside of the older ones we mentioned, that’s a song I hear about from my peers quite often. Robert: My aim was to be the first journalist in history to interview Mickey Thomas and not ask a question about ‘We Built This City’, but then you went and joined the cast of ‘Rock of Ages’ and ruined it. Mickey: [laughs] This is true. Robert: For most of February you will be onstage at the 5th Avenue Theatre in Seattle, playing the Sunset Strip bar owner Dennis Dupree, a role that is a favorite among ‘Rock of Ages’ fans, but who traditionally does not sing ‘We Built This City’ in the show. Will you be? Mickey: I will not be, which is a bit ironic. Mickey: I know! I guess coming into this I had a sneaking suspicion that they might somehow figure out a way for me at to least sing a few lines. But noooo! [laughs] The songs I’ll sing in this production are ‘Too Much Time On My Hands’ by Styx, and REO Speedwagon’s ‘I Can’t Fight This Feeling Anymore’, in a duet with Lonnie. A little bit of ‘The Final Countdown’ as well, and a few bits and pieces of other songs. Robert: In rehearsal have any of the performers who do sing on ‘We Built This City’ (Nick DeSantis, Nik Hagen and Sara Porkalob) talked to you about the song? Mickey: Yeah, Nick Desantis. He’s a fan of Jefferson Starship going back to the ‘Find Your Way Back’ and ‘Jane’ days. Robert: Had you seen ‘Rock of Ages’ before you accepted the role? Robert: They’re both ensemble productions, so no one can really take it too personally. Your nice guy rep is still intact Mickey [both laugh]. Mickey: I only emphasize that because from everything I’ve seen in person and on YouTube while I was preparing for the show, this production is honestly going to blow them all away. Not only because of the talent of the cast, but the choreography is on a whole new level for this musical. Lisa Schreiber, our director and choreographer, along with her associate Jesse Roth, bring their New York stage backgrounds to it. There is a real athleticism in the choreography which is unlike anything that I’ve seen so far from a ‘Rock of Ages’ show. Robert: This run is more than 3 weeks long, and you’re doing almost 30 shows in 24 days. If your manager came to you and said, “Hey Mickey, we’re going to put you on the road with Starship, but you’ll need to play 30 shows in 24 days, you would say what? Mickey: Lets go! [laughs] No, it’s all the carting around all over the place that makes touring much tougher. Just being out here, and staying here, makes it so much easier. Also, on stage I don’t feel the same (vocal) strain as I feel when I perform with Starship. I have to get way up into the upper register of my voice during a 90 min Starship show, so this is a break from that for sure. Even on the songs that I sing in the set every night, none of those come close to being up in the range I need to have when I’m out there on tour. The dialogue actually takes more out of my voice than singing does because I have to project to make sure that they can hear me in the last row of the theater. Robert: Did you find it difficult to memorize your lines? Mickey: It’s not difficult to learn the dialogue necessarily, but the choreography on the staging is hard for me. I do everything on feel when I’m singing with Starship. But in this musical you have to constantly be counting (in a sing-song tone), “Okay, its 1 and 2 and 3 and 4, and now I’m walking and now I’m turning.” [laughs] Putting all of that together has been a little bit difficult for me. I’m not the most coordinated guy in the world. Robert: Your character, Dennis, gets a few laughs as well. That has to be fun. Mickey: It is, but the guy who plays Lonnie (Dane Stokinger) is a real bigger-than-life guy with a lot of stage experience and he gets a ton of laughs. They are all super talented and I’m so impressed by them when we’re on stage because every member of the cast dances, sings and acts incredibly well. Except for me. [laughs] I can sing.